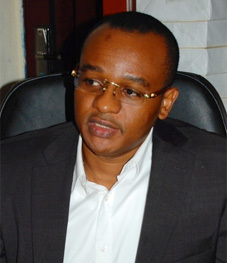 Hamza Nasko is the Founder, Chairman and CEO of HMG Group. He is a degree holder in Metrology with vast experience in property development, construction and international transactions. His ability to diversify in business has turned the company into the successful conglomerate it is today. The medical sector has been his most recent venture with HMG GmbH, A German based company he founded responsible for delivering world class medical services. As a Philanthropist, Hamza believes in giving back to the society. A Co-Founder of The ACT Nigeria foundation, a privately funded charity to further the education of several children from poor homes in his local community, he is also a founding member of the Kungulu Talaka Aid Foundation, a Nigerian NGO dedicated to enhancing the living conditions of the less privileged. Hamza's acute vision, determination, professionalism and business ethics continues to drive HMG Group towards greater accomplishments. Project Adviser, Conflict mitigation and Peace Building project in the States of Bauchi, Nasarawa, Taraba and Kaduna (A US Embassy/Nigeria Joint Project with Arewa Youth Forum) - 2014 to December 2015.